By: Erik Hyrkas on January 8, 2014. Just when you thought the city couldn’t get any shadier, Yellow Jacket came out with an upgrade to their stun gun/taser iPhone 5C/5S case. That’s right, the most sought after device in an urban environment just became THE weapon against the would-be thieves stealing them. 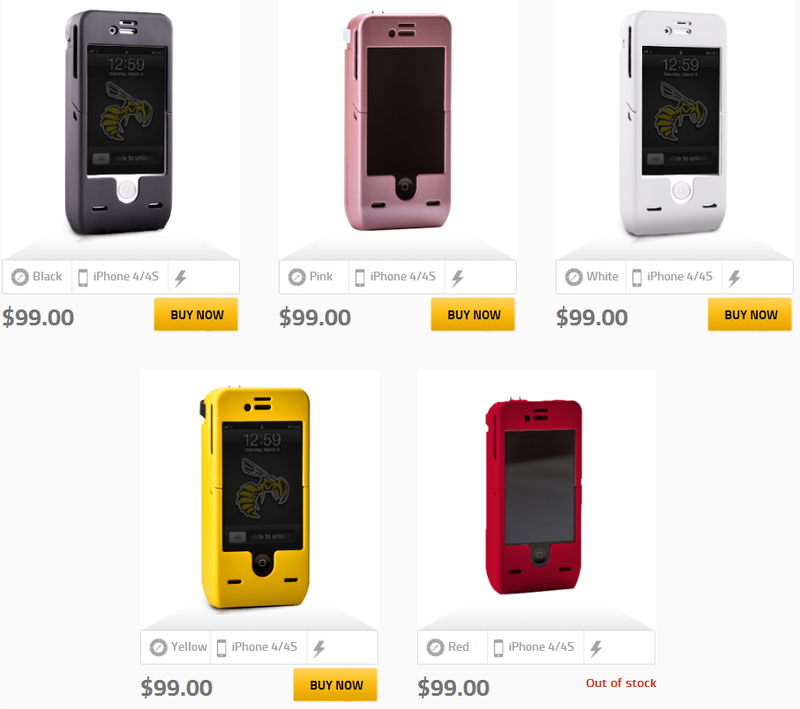 For just $149, you can zap a stranger with your Yellow Jacket iPhone 5 stun gun case 50 times in the color of your choice (Black, Pink, White, Yellow, and Red we’re guessing) and still have enough battery life to play Words with Friends. The new model packs 950,000 volts and 1.2 miliamps of electricity, enough to jostle someone onto the ground. Currently models for the iPhone 4 and 4S are available online for just $99, however there is a battery compromise in terms of using your phone after zapping someone. The lesser force of 650,000 volts of juice and .8 miliamps won’t be enough to power your phone and taze your enemies. While the problem seems negligible, I guess it could be a predicament to call the police after taking the matter into your own hands. With the iPhone 5 model, vigilante justice doesn’t have to choose. Nevertheless, all we envision is a terribly vindictive YouTube-worthy party game. For the frightening tutorial on this device, check out Yellow Jacket’s video below. Let us know what you think in the comments. Last updated by Erik Hyrkas at January 23, 2014 .